It’s that time of the year to start pulling out your spring and summer dresses. 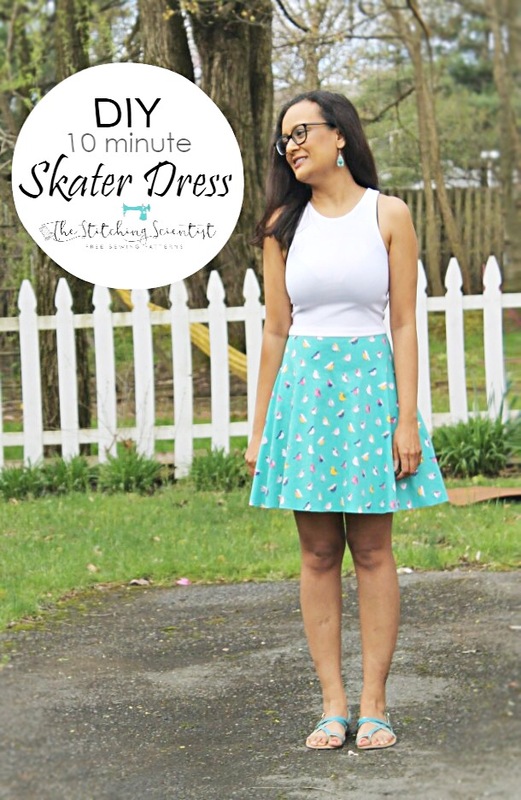 Here is a quick DIY 10 minute Skater Dress tutorial that you can add to your handmade collection. No kidding, this literally took about 1o minutes to make from start to finish. The best part is that it only cost me $7 to make. I made one for my daughter as well. She probably has about one more year left where she will stop thinking it is cool that we are wearing the same dress. I bought the fabric for this dress at my local Joanns Fabric Store. With my coupon, I think I paid $6 for one yard. If you can, I would recommend interlock knit fabric as it is slightly heavier than standard jersey fabric. I also did not hem the dress as knit fabric does not fray and I loved the look of it not hemmed. I decided not to make my dress too long. 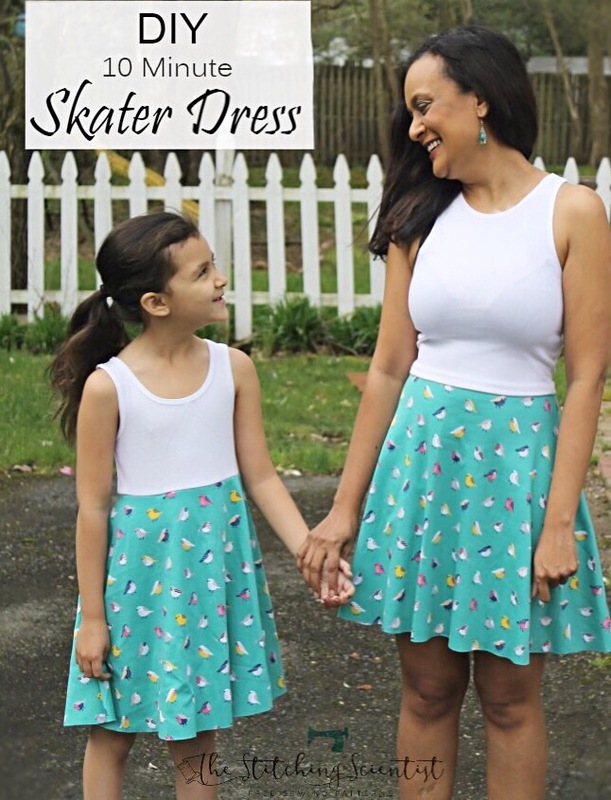 You can customize yours and make it into a mini or maxi skater dress. My daughter’s is a bit longer because she will outgrow it in no time. Paired with a denim jacket, it will look wonderful for date night or stroll downtown. I will definitely be making a few more of these dresses for Mila this summer. They are so cheap and easy to make! They will last until mid fall for sure when paired with sweater and boots. 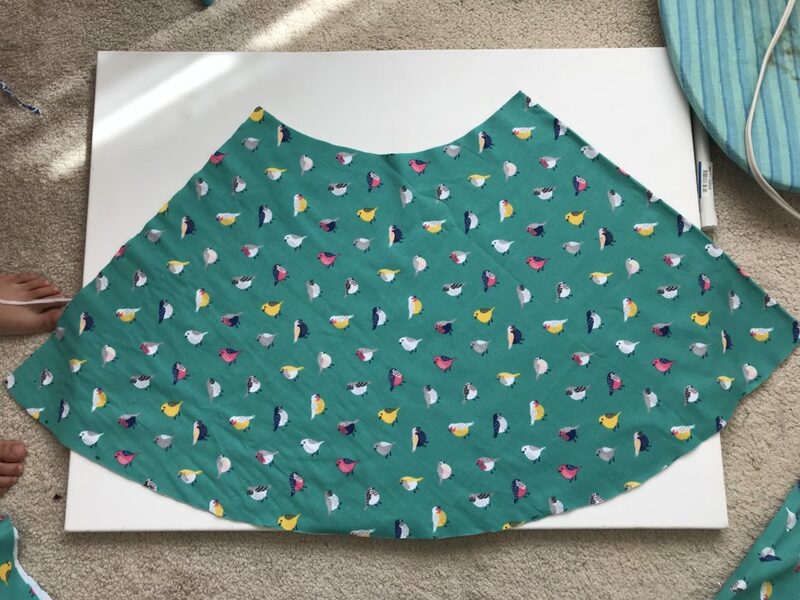 A stretchy tank top (cut to waist length) or crop top. The heavier the fabric of the tank top, the better. The one I used in my dress is Forever 21 Cropped Tank Top. You can DOWNLOAD THE FULL TUTORIAL HERE or scroll down below for a short version. First, Fold dress in half so that the knit fabric stretches as shown below. Cut two arcs one you folded the fabric. To get the measurements for the first arc, DIVIDE your waist by 3.14… that’s “a” in inches. Measurements for the second arc is the length of dress from waist … that’s “b” in inches. Once you have cut out both arcs, you will have piece that looks like the picture below. 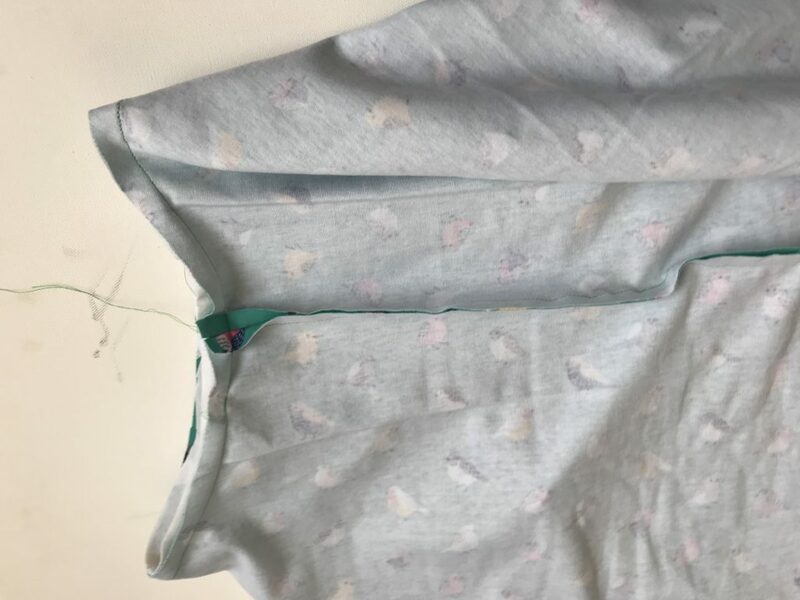 Next, sew the side that is open closed using 3/8″ seam allowance. Now insert the skirt into the tank top right side together so that the top of the tank top and the skirt are neatly aligned. 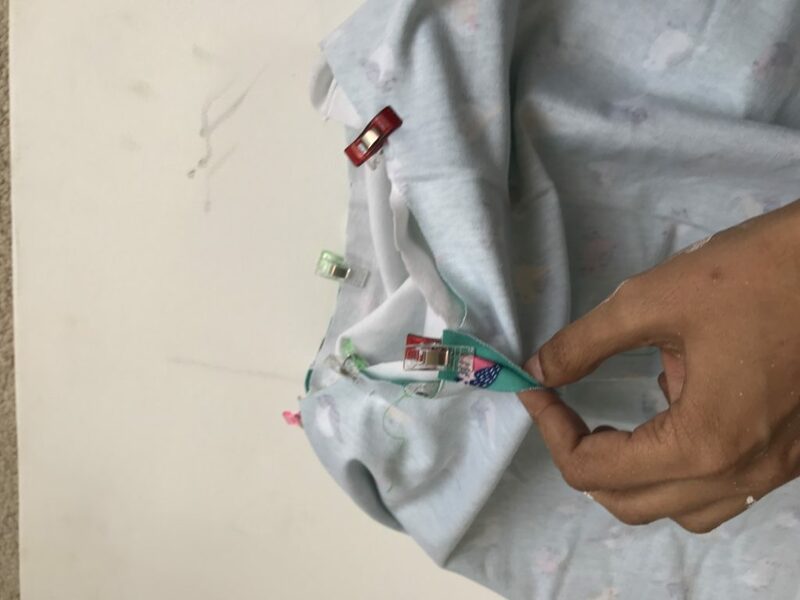 You should align the seam on the skirt so that it falls at the back of the dress. 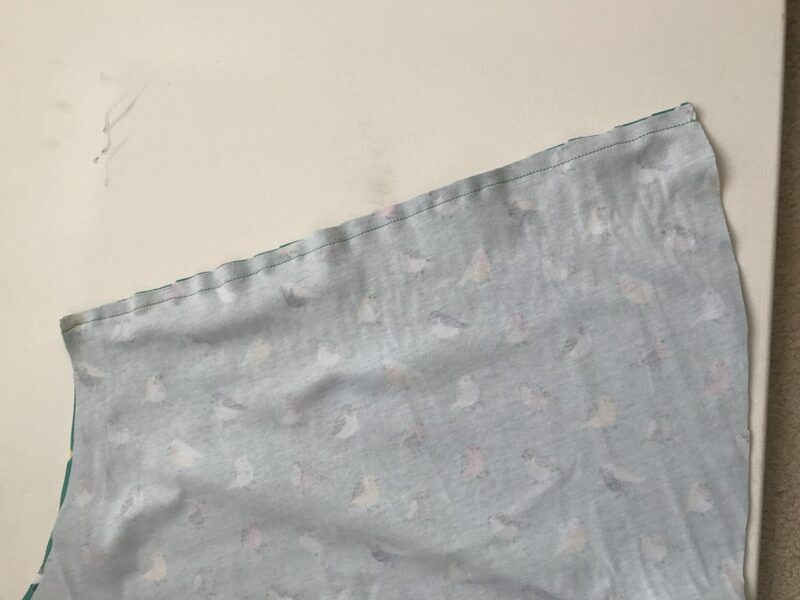 Pin and sew using 3/8 seam allowance. 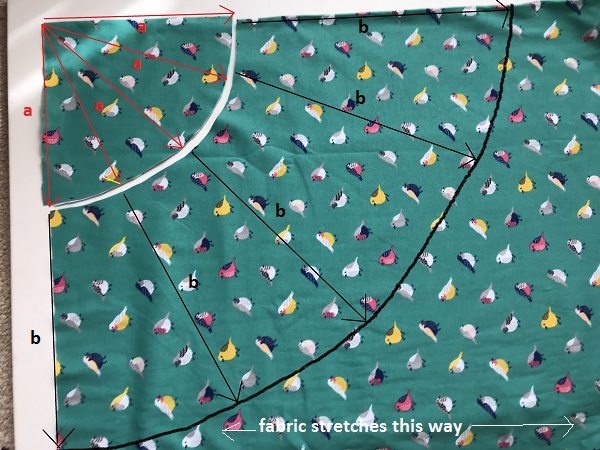 If you want a banded look like the one on my dress, sewing a larger seam allowance. Next, you can hem the bottom of the dress but it is not necessary since the knit fabric will not fray.